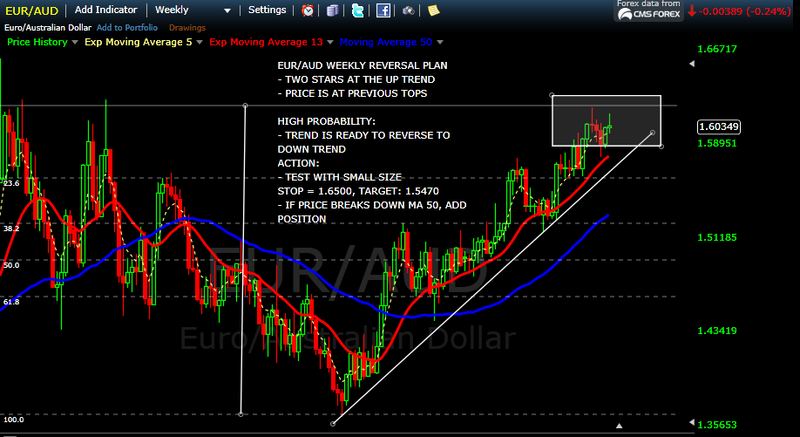 The EUR/AUD pair may ready to reverse the trend because of the two stars at the up trend. Even though the plan has high probability but we must pay attention if the reverse trend is confirmed or not. The reverse trend is valid only when the price breaks down below the trend line and the Moving Average 50. We should apply the trade management and money management.